Guard rails to protect people, walkways, machinery & buildings. 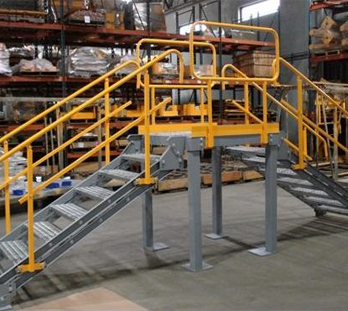 Omega Industrial Products manufactures handrails and stairways to meet any adopted building codes. A new, first-of-its-kind pedestrian safety barrier to protect pedestrian traffic zones. The only true Delineator Post barrier system available today. 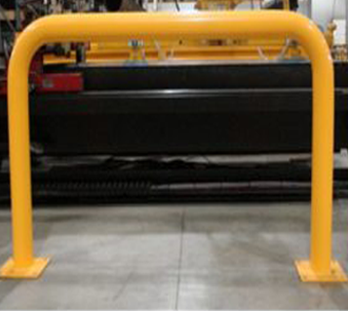 Omega's door guards offer the best protection against forklift and heavy equipment-related accidents, impact and damage. Omega product designs like guide rails, bollards, rack guards and column guards offer unbeatable protection through their strength in construction.